If you are lucky enough to have a roof terrace in a city as enormous and bustling as Hong Kong, then count yourself very fortunate! Sure, the city has its fair share of gardens, parks and open space, but the privacy, seclusion and solace of your very own terrace is something that can’t be beaten. With such as wide range of skyscrapers and architectural styles, rooftops come in a variety of different shapes and forms. 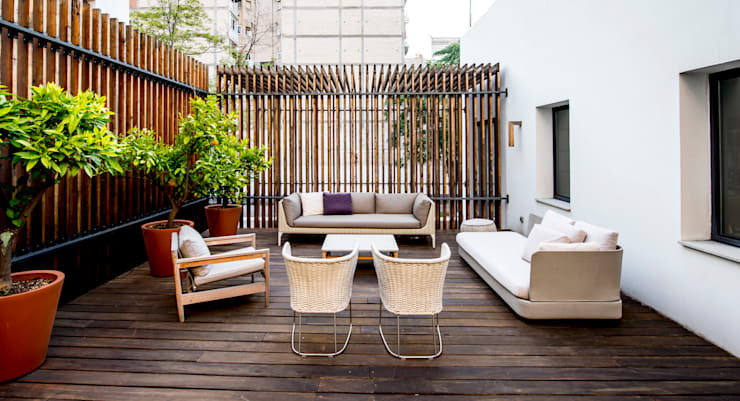 Whether your terrace is awkwardly-shaped or conveniently situated, it’s important to make the most of it. Today we have for you 9 ways to make the most of your outdoor space. 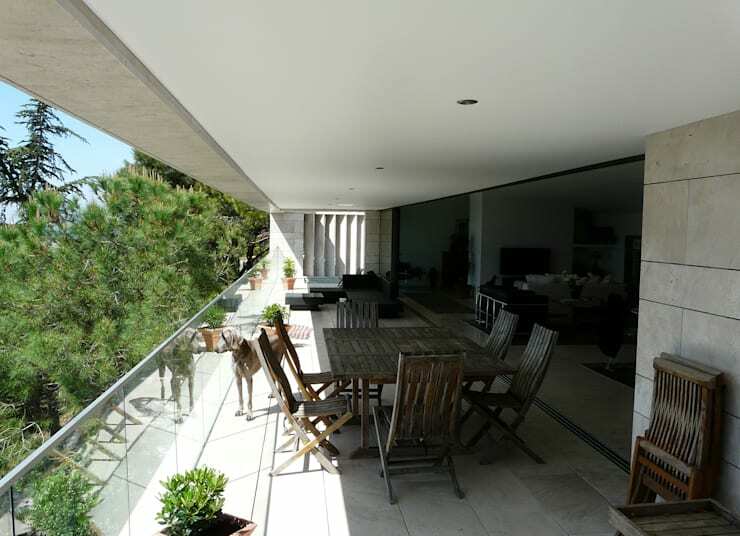 From creating a restful and serene space, to adding a place to cook, we’re sure you’ll be able to make the most of your panoramic views and stylish terrace. For those without a garden it can be impossible growing certain plants indoors. If you have a rooftop space, make the most of it by planting sun-requiring varieties such as citrus trees, flowers and other edibles. In order for you to make the most of a space you need to be comfortable. And the only way to do that is to ensure you have the correct seating. Choose beanbags, or opt for a more sophisticated alternative such as these egg shaped wicker chairs. 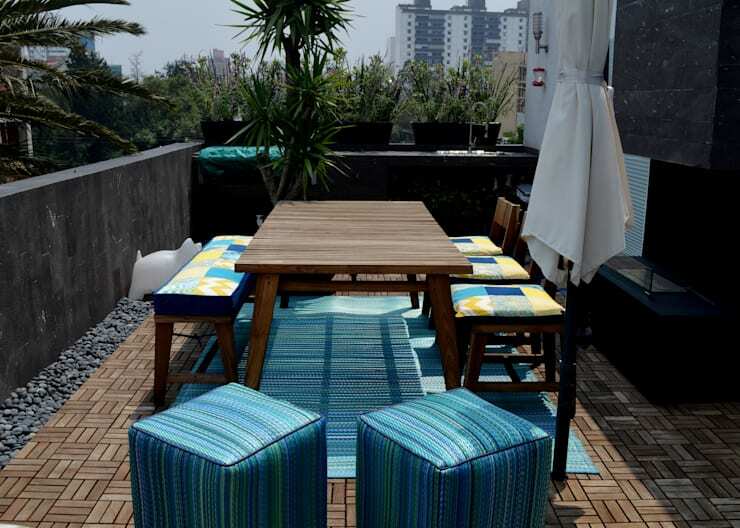 What good is an outdoor roof terrace space if you don't get to enjoy it with friends or family? Ensure you have plenty of space for others, including additional chairs (such as these neat cubes), that can be added if need be. One word: floor cushions. These fabulous floor coverings will lure you into a state of relaxation, while enhancing your overall rooftop aesthetic. 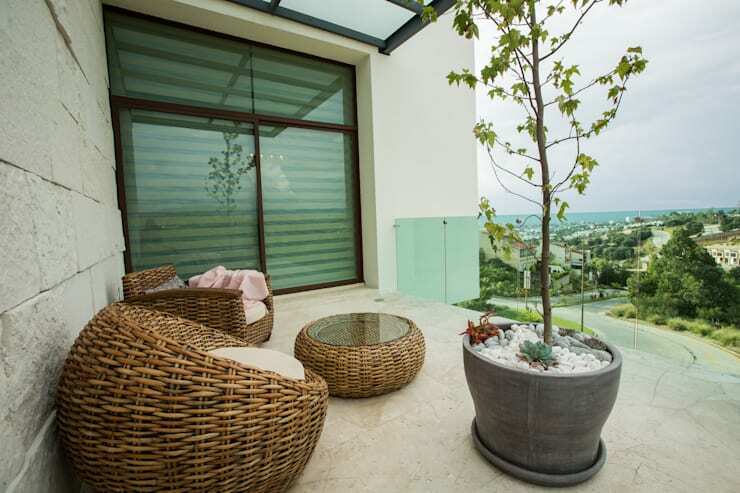 Add umbrella for shade, outdoor rugs, and plenty of flowers for a stylish and desirable relaxation station. One of the best things about a rooftop is its view, which you can maximise with the right style and placement of furniture. If however, you feel as though this might be a little out of your league, consider chatting to a professional who will be able to help you through some of the trickier challenges. Cooking outdoors is brilliant. You don't need to worry about food odours wafting though the house, you can grill your food easily, and it is often a social event when everybody gets involved. 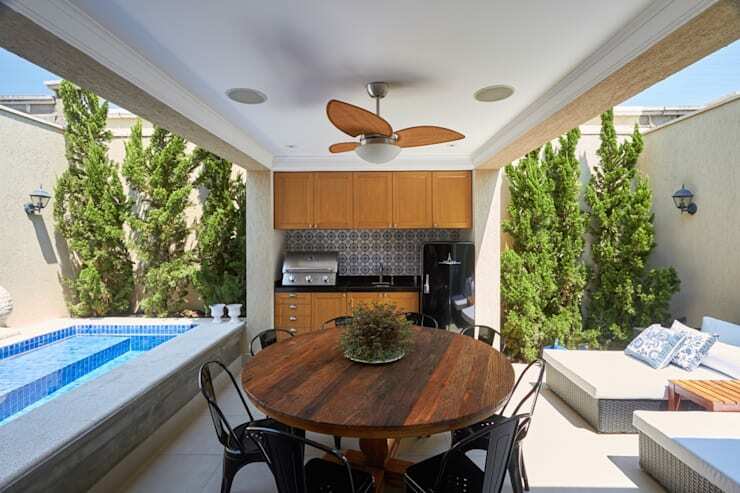 Utilise your rooftop to the max, but ensuring you have somewhere to prepare and cook a meal. Nothing says enjoyment like original and handcrafted furniture. 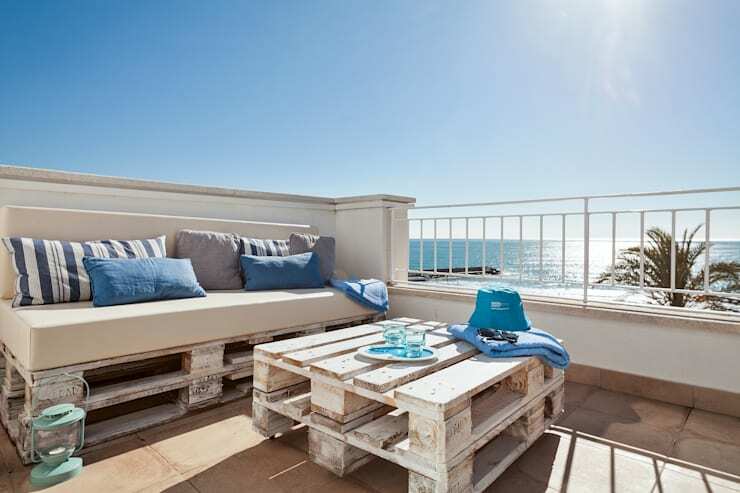 Take a look at these wonderful whitewashed pallets, which are fabulously coastal inspired for their seaside rooftop. Recycle, upcycle and repurpose your furniture to create an individual and unique exterior style. To make the most of your roof terrace, then you are going to want to use it in the best possible way. Next up, we are checking out this terrace, which although not located on the roof of the building, is a stylish and impressive space. Create an area for casual dining with a timber set of furniture, and pair with plenty of outdoor plants to add an eco-friendly and welcoming aura. 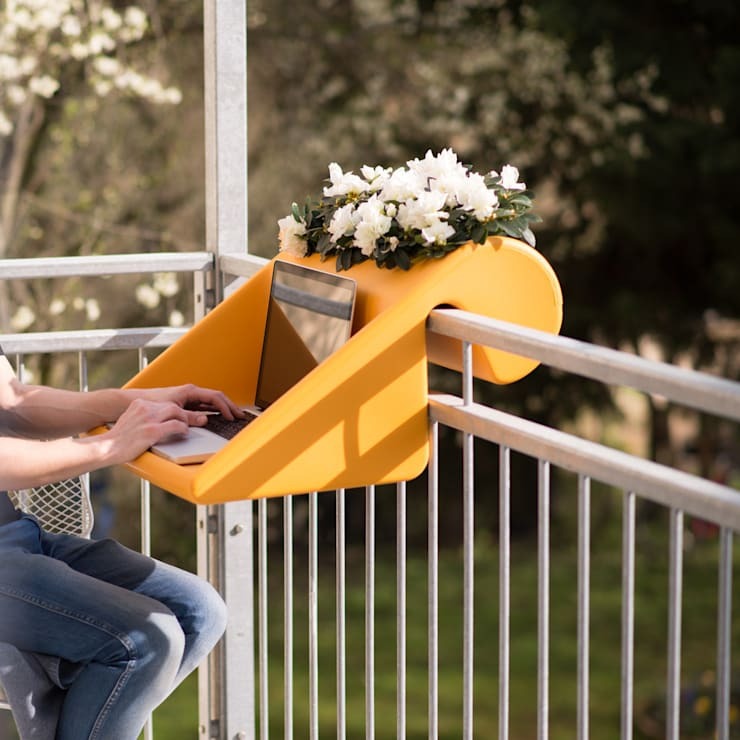 Finally, but no less importantly, why not utilise your roof terrace as a home office space? Sure, it might be too hot during the peak daytime hours, but as the afternoon sun fades to the horizon, it is often perfect. This neat computer holder is a great option to get a little after work done, while taking in some fresh surrounds. 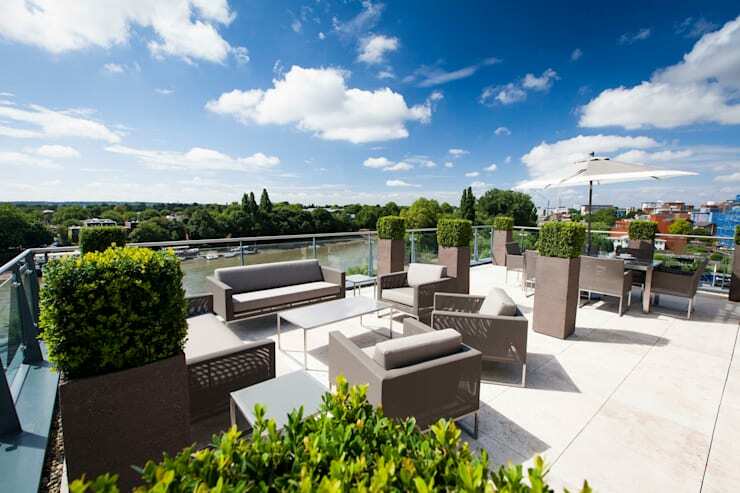 Which roof terrace is your favourite? Let us know below!